On Tuesday evening the atmosphere in Ulaanbaatar felt festive. It was Women and Children’s Day, offices had been closed all day and the weather had been sunny and unusually warm, reaching a high of 30 degrees Celsius. Even at 10pm, the streets were full of people chatting and strolling about. It seemed like everyone was in a good mood, but I knew that many Mongolians, particularly those outside of the capital city, were likely not feeling very carefree. I’d just arrived back in the city after using the holiday weekend to travel to the countryside and see some of the spectacular scenery for which Mongolia is renowned. The vast steppes took my breath away. So did valleys full of decaying animal carcasses. 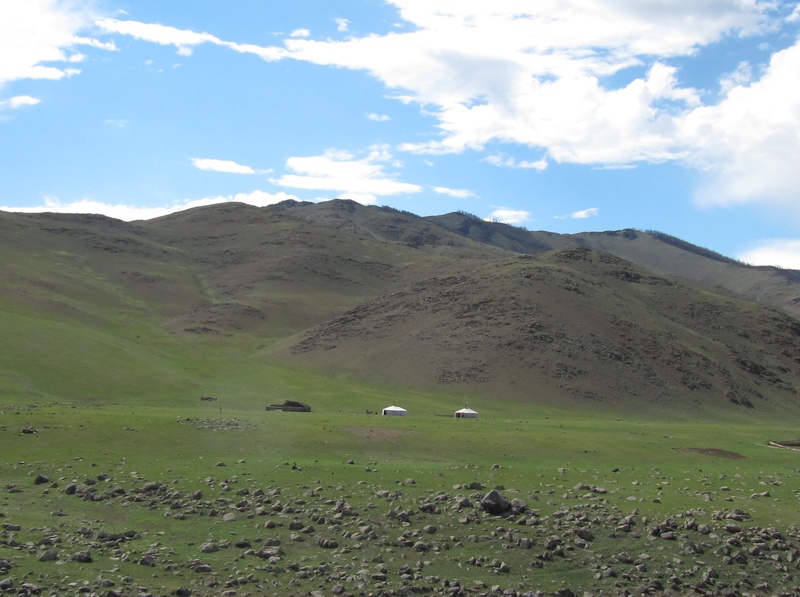 Earlier this year, the previous Kiva Fellow in Mongolia, Beth, wrote here about the summer drought followed by a harsh winter that was causing devastation for Mongolia’s herders. Several months later, the effects of the “dzud” as this weather pattern is called are even worse than expected. 8 million head of livestock, about 17% of the country’s total, have frozen or starved to death and the count is rising. In an earlier post, I described Mongolia as a rapidly industrializing country, but herders still make up about 30% of the total population of 2.7 million. This winter some of these herders have lost their entire herds. Many of them are also burdened by debt incurred when they purchased emergency feed. Without any other economic opportunities in their remote provinces they are now completely destitute. The International Red Cross and the United Nations Development Program (UNDP) are two aid organizations that have responded to this crisis. The Red Cross is providing food and clothing as well as psychological support and health education. The UNDP has implemented a $1.5 million cash-for-work program that pays herders to properly bury carcasses. Some people in Mongolia feel the international media have overlooked the dzud crisis, so I was pleased to see a detailed report two weeks ago in the New York Times (this is the source of the unlinked statistics above). The article and video point out that climate change, overgrazing, overpopulation of livestock and the general sustainability of the herder lifestyle are issues that are being examined. Fortunately, Kiva’s field partners in Mongolia, Xacbank and Credit Mongol, haven’t seen their loan portfolios affected too severely. Xacbank began slowly restricting loans to herders three years ago because it feared a dzud. In rural areas, businesses that herders patronize, such as grocery stores, are struggling. 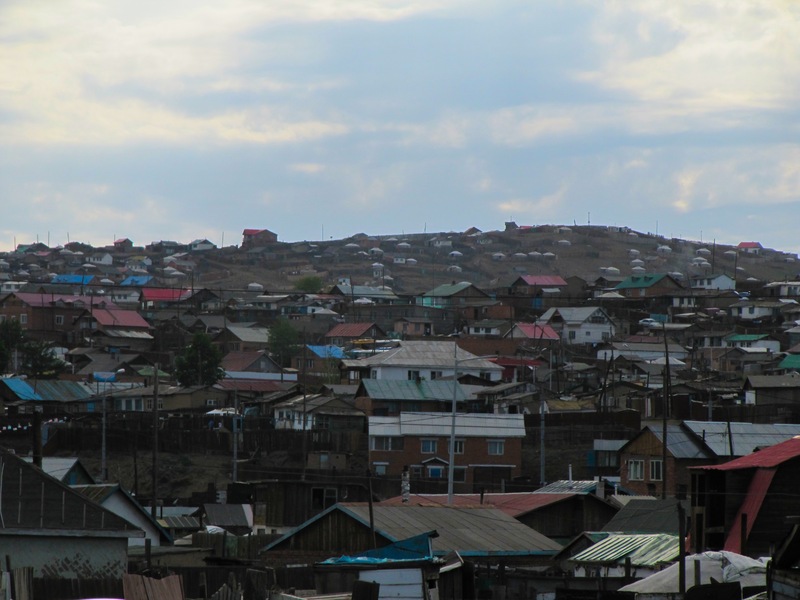 In Ulaanbaatar, many of the students come from the countryside and because their parents can’t send money, delinquencies are rising for businesses such as stationary shops and cafes. Credit Mongol hasn’t experienced too much of an impact because it only has two branches in the countryside. Most of its clients in urban areas have been able to make repayments on time. For now donor aid to help meet basic needs is most appropriate for individuals from the hardest hit areas. However lending to all Mongolian borrowers can help to create further economic activity and opportunities for employment, which is what the 20,000 herders expected to permanently move their gers to the outskirts of Ulaanbaatar this summer are desperately seeking. You can lend to a borrower in Mongolia here. Please join the Mongolia lending team here. Kevin Henderson is serving in Ulaanbaatar, Mongolia as a member of Kiva Fellows 11th class. Entry filed under: Credit Mongol, KF11 (Kiva Fellows 11th Class), Mongolia, XacBank. I read the excellent article you sited above from the World Bank. Your quote from the article was most compelling.How many of these people find some sort of job in the city? It was interesting that the Lawerence wrote that very few neighbors in the gers shanytowns got to know one another. I would have thought that just the opposite would occur. Is it that people are just too busy trying to survive? Thanks for your replies. I am learning a great deal about Mongolia. I hope to make more loans. Thank you very much for making us aware of this crisis. Very heartbreaking!!! 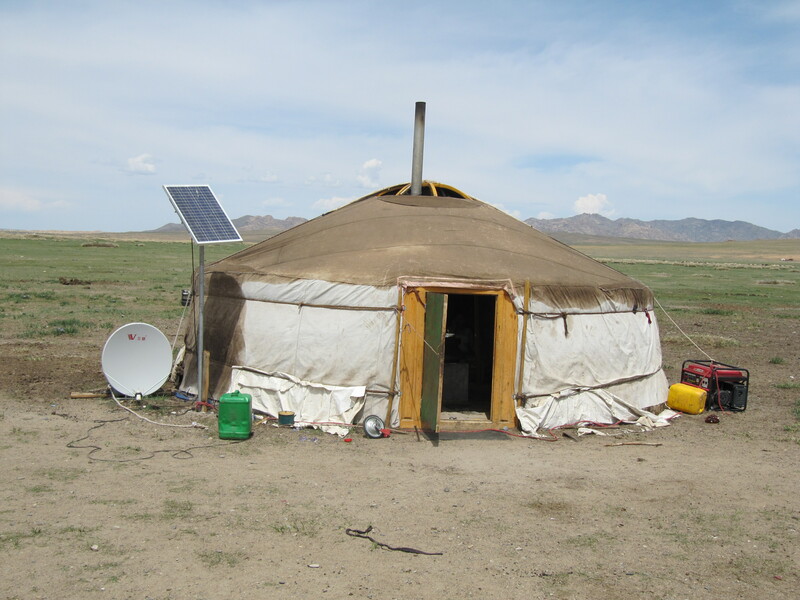 Currently, a sizable number of my Kiva loans are to Mongolian entrepreneurs, and after reading your blog post, I felt strongly compelled to help the Mongolian herders, but I didn’t know what to do. What I decided to do was to also make microloans through Wokai. Wokai is currently posting loans to Mongolian herders who need a loan to purchase forage for their animals. Because of last year’s drought, the grasslands are bare. I’m finding Wokai to be a wonderful complement to my lending through Kiva, because through Wokai, I can also help loan recipients in rural China and inner Mongolia. The situation for herders here and the impact the dzud has had on their traditional lifestyle is very troubling. It’s going to take a long time for them to recover. I’m familiar with Wokai. It looks like a good platform for lending to China and Inner Mongolia. what a difficult time for the Mongolian herders! I can’t imagine the impact on the city with that sudden influx of 20,000 people. I second Mary Lynn’s comment about the satellite dish outside of the ger – and it looks like not only a satellite dish but solar panels as well? I remember reading about XacBank’s green loan initiatives … awesome! I was excited to see the solar panel too. Apparently it’s common in the countryside for a family to use a solar panel but less so in the city. I’m hoping to learn more about the prevalence of green technology here and Xacbank’s eco loans products. The satellite dish and TV were also indicators that this family is doing relatively well. I stayed with them for a night. They earn some extra money by opening their home to tourists and rounding up camels and horses for them to ride. I had no idea of the situation in rural Mongolia. How are basic services (ie. water, electricity) in Ulaanbaatar with such an influx of people into the uban area? Interesting to see the satillite dish outside the ger! Great pictures.